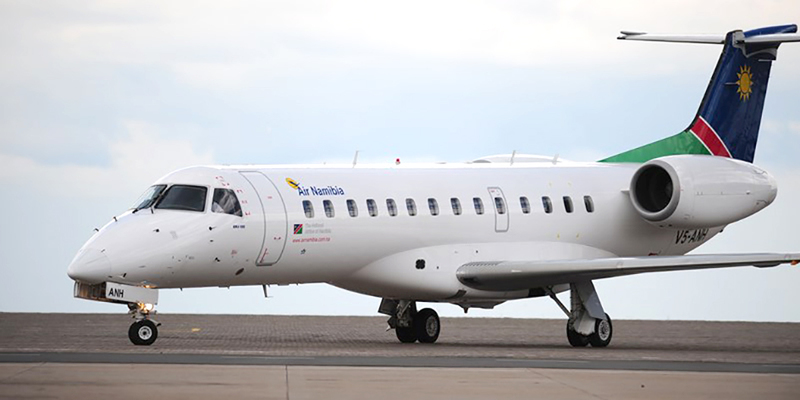 AIR Namibia announced that it will resume flight operations to Harare and Victoria Falls following the chaos that ensued when an aircraft belonging to Namibia’s National Airline was impounded by the local sheriff on the international airport at Harare at the beginning of October. The announcement by Air Namibia spokesperson, Paul Nakawa, followed a Zimbabwean High Court judgement granting the lifting of the attachment of Air Namibia aircraft in Zimbabwe. Harare High Court Judge Tawanda Chitapi during June this year authorized the Sheriff of the Court to attach Air Namibia’s property, including aircraft, pending the finalization of the case in which Zimbabwean national, Chenjerai Mawumba is suing the airline for pain, suffering and trauma. Mawumba is claiming US$1 million from Air Namibia after airline officials barred him and his family from travelling to Turkey. According to court papers, Mawumba, his wife, and three children, were barred from travelling to Turkey via Windhoek and Frankfurt during February 2017. The claimant says he and his family were detained at Windhoek’s Hosea Kutako International Airport for two days before being deported back to Zimbabwe. Air Namibia enforced a policy of denying foreign nationals access to Europe in a bid to save itself from paying fines imposed by German authorities for transporting possible illegal immigrants. 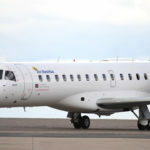 In an official statement, Air Namibia said the days of flight operations will remain unchanged. As a result of the initial judgement to attach Air Namibia property, the airline suspended its flights to Harare and Victoria Falls on 8 October. The airline diverted its flights between Hosea Kutako International Airport and Victoria Falls to Livingstone until the matter could be resolved. The flights to Livingstone ended on 27 October. Since the plane was impounded by the local sheriff, Air Namibia obtained Zimbabwean legal counsel who arranged for the matter to be heard by the Supreme Court of Zimbabwe. The application was heard on 23 October and Air Namibia was granted a time extension to file an opposing motion at the Supreme Court of Zimbabwe. The Zimbabwean Supreme Court issued an order with costs against the passengers who were denied boarding. The order has the effect of staying the previous Ex Parte order which facilitated the attachment of the Air Namibia aircraft. “We are confident that this matter will be concluded soon and trust that Air Namibia can count on your continued support, as we continue to offer the most professional and pleasant experience for our passengers,” Nakawa said.